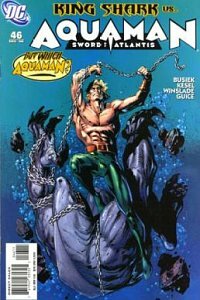 Aquaman: Sword of Atlantis #46 begins a flashback story starring Orin and King Shark. Shipping October 18th. 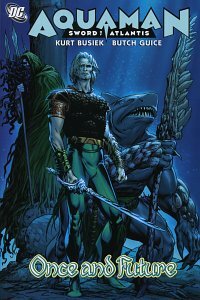 The first six issues of Sword of Atlantis are collected in "Once and Future", due out November 15th. 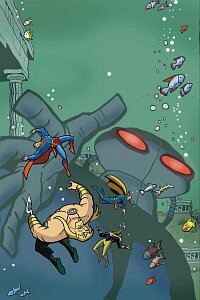 Black Manta gets an ally to help attack Atlantis in Justice League Unlimited #26, due out October 4th. 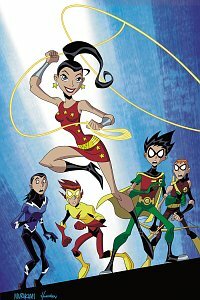 A new member joins the Teen Titans in Teen Titans Go! #36, due out October 25th. 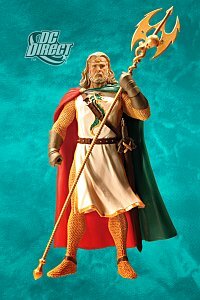 At lastly, DC Direct tries again to bankrupt me with the Kingdom Come Aquaman, featured in Series 3 of the Kingdom Come action figures, due out March 21, 2007.